After refusing to financially assist the ailing Mitsubishi Company, DaimlerChrysler has really pulled the plug by selling its entire 12.42 percent stake in the Japanese carmaker. They were also so desirous of getting out that the shares were sold at around 82 percent of the current share price. Investment bank Goldman Sachs has bought the stake, so as an investment, they must consider Mitsubishi to have a long term future, despite its current problems, and was placing the shares with institutional investors around the world, a financial source said. DaimlerChrysler, the world’s fifth-biggest carmaker, said that the Mitsu stock sale would boost the 2005 financial figures by around USD 589 million. And according to financial analysts, the sale made good financial sense. “DaimlerChrysler showed good timing with the sale,” said Michael Punzet, an analyst at Landesbank Rheinland-Pfalz. “The money will help offset the financial burden from its planned job cuts,” he added, referring to the reduction of 8,500 staff at the premium Mercedes division in high-cost Germany. It is reported that this reduction, with all the pay-offs and pensions will cost around USD 1.1 billion. The sale follows DaimlerChrysler’s sale last year of its stake in Korea’s Hyundai Motor Co. and is also selling its heavy diesel motor unit MTU Friedrichshafen. Cash from all these sales will be used to top up pension contributions, finance restructuring of its Smart minicar business, invest in new models or channel money to investors via steady or even sweeter dividends. It seems it is not just America’s big car makers that are in trouble. Europeans are also tightening their belts. Most of the Brits have already gone to the wall, other than AC Cars who are spending money to open a factory in America! The world is bracing itself for the Chinese onslaught, and once China has built itself a reputation for making quality cars cheaply (which will happen, believe me), it will be “goodnight nurse” to all but the specialist automakers in the world. It’s time to buy a Chery QQ and put it on blocks and let your grandchildren sell it for a fortune in 50 years time. The oracle has spoken! Electric hybrids - the new way to go? There is a man, dressed in long robes, holding a sign saying, “The end is nigh” parading up and down outside all the world’s major automakers. Well, if he’s not there, you would imagine that he is, because all of a sudden, they are all jumping on the bandwagon of ecology, save the planet and oil supplies are dwindling. The petrol engine is on its way out. “Vehicles powered by gasoline engines linked to electric motors are the new wave, with latest efforts putting these hybrids into mainstream vehicles.” That was the leader for an article in the America auto press in 2003. Increasingly, Americans are willing to give gas-electric hybrid vehicles a try, according to J.D. Power and Associates, who said that the desire for the technology that mates a gasoline engine to an electric motor for a more fuel-efficient power plant rose from 20 percent to 29 percent in the five years 1997 to 2002 and that is still rising. While the Japanese, Honda and Toyota in particular, are at the forefront, Germany is also there with DaimlerChrysler. Their concept vehicle is called the F500 Mind, the big four-door fastback being billed as a mobile research laboratory housing technological advancements that are expected to filter though into standard Mercedes-Benz models in coming years, including an advanced hybrid drive system that uses both diesel power and yes, electric propulsion. Listening to the big automakers, you would think that this is all something new, this gasoline and electric motor concept, but of course, it is not. The first hybrid, according to my research, was built in 1902 by the son of an Austrian tinsmith. His name was Ferdinand Porsche – yes the same Porsche who designed vehicles for Daimler, Auto Union, made the Beetle and finally gave birth to the line-up of some of the greatest sportscars ever seen, the cars bearing his own name – the Porsches. It is now time to go back in history, and the tale of Dr. Porsche and his involvement in the hybrid movement. Ferdinand Porsche was born in 1875 in Mattersdorf, a village close to Reichenberg, in what was then North Bohemia. In 1898, he joined Jacob Lohner’s automobile company. This was Austria’s first production car company but Lohner believed in electric cars and Porsche designed a car which had an electric motor fitted to each front wheel hub. This was radical stuff and the Lohner-Porsche was exhibited in the Paris Exposition of 1900 and attracted international attention. This was, however, still an electric car, powered by heavy lead-acid batteries. The hub motors had been designed by Ferdinand Porsche, who was just 25 years old at the time. His employer, Jacob Lohner, boasted to the press, “He is very young, but he is a man with a big career before him. You will hear of him again.” And how prophetic was that? 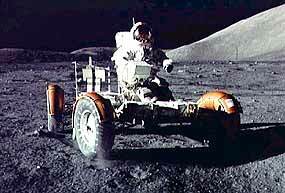 The same basic motor design was used to power the Apollo buggy which American astronauts drove on the moon 69 years later. Porsche was a sporting fanatic and spent many hours at the drawing board to see where he could refine the design and in 1902 fitted one of his electric hub motors to each wheel, producing the world’s first four wheel drive vehicle. Porsche then looked at the weight problem with the lead-acid batteries and worked out that what he needed was a lightweight generator to provide the electric current, rather than batteries, so he harnessed Daimler’s and Panhard’s internal combustion engines to power the generators for the wheel-mounted electric motors in a new technology that he called ‘System Mixt.’ The system might have been ‘mixed’ but the results were not. More speed records were won by his 4WD hybrid race car, European acclaim followed, and in 1905 Porsche won the Poetting Prize as Austria’s most outstanding automotive designer. One of his designs was the ‘Landwehr’, a train designed for the road. The leading car, or engine, was powered by a Daimler gasoline engine of 100 horsepower, linked to an electrical generator. In keeping with his proven race car approach, all four wheels were equipped with an electric motor. This progressive design became even more ahead of its time when Porsche decided that all of the cars should be equipped with the same four wheel drive system, with the electrical power supplied by the engine car through long cables. During the First World War, these trains traveled on difficult terrain to supply the army, and could also be fitted with special tires in order to ride on normal railroad tracks. The next hybrid was the C Train. It was a purely military concept and was equipped with an 81 ton gun and four cars, each with eight wheel electric hub drives, following the concept of the Landwehr train. The total weight with cargo was in excess of 150 tons. That was some hybrid! Dr. Porsche also saw that pure electric vehicles were not the way to go over 100 years ago and built the hybrids. It is a pity that the automakers did not look into history a little more! Will Japan take over the auto world? Having said that China will be dominant probably in around 20 years, will Japan take over in the meantime? Over one year ago, I predicted that Japan would do this. I clearly stated that Japan does not make the best cars in the world. Japan does not make the fastest, the most sporting, the largest or the most innovative cars in the world either, but Japanese cars have something that puts them way in front, in the mind of the motoring public. Customer satisfaction. 12 months ago, the figures from Europe were very telling. 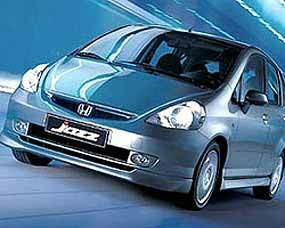 From the customer satisfaction viewpoint the best small car was the Honda Jazz. Lower-medium car was the Toyota Corolla. The upper-medium bracket was the Toyota Avensis. SUV went to Toyota’s RAV4. MPV section was won by Mazda’s Premacy, while the only two European manufacturers listed were the Peugeot 607 for the executive/luxury group and Porsche with its 911 in the sports car category. That should have been enough to make the European car makers sit up, but even sitting bolt upright in their seats, it was already too late. World number 1, General Motors are in huge financial problems, and so is Ford. Volkswagen, that incredible post-war success story, is also going downwards, with its sales shrinking 4 percent. DaimlerChrysler has seen its market share go down as well, and BMW is having to tighten its belt. By contrast, Japan (and Korea) are on the way inexorably upwards. Toyota, Mazda, Honda and Hyundai all showing positive growth in the past 12 months, with up to 30 percent increase in sales. Needless to say the European automakers are full of tales of woe, citing high wages, pension plans and similar smokescreens. However, the man in the street who buys a new car every three or four years is buying a Toyota or other Japanese car because it is more reliable, not because it is cheaper (which it is not, in many instances). However, the European arms of the big international firms are now finding that they are having to scale down their operations, because of the downturn in demand. On the other hand, the Japanese are increasing production. One year ago I wrote, “In world market terms, GM is reputedly number 1, Ford is number 2 and Toyota is number 3. But if you look at annual profits, I think you will find Toyota is well ahead.” That was 12 months ago. Toyota has already overtaken Ford, and the predictions are that Toyota will build more cars than GM in 2006, to take the top step on the podium. The Europeans and the Americans can stop looking over their shoulders to check on the Japanese onslaught. They’ve gone right past and are increasing their lead. A lady in Europe has managed to do what no test driver has ever done – melt a Citroen C3. She rented the C3, planning to drive to the destination 250 km away. She did not mention to the car hire firm that she only drove automatics, and then drove the 250 kays in first gear all the way. After all, you don’t shift the lever do you, with an auto gearbox. 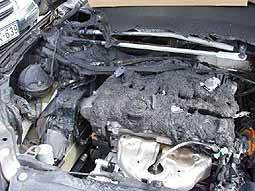 The engine got so hot it melted the sound proofing under the bonnet, and then the center of the bonnet itself! Citroen when contacted declined to confirm whether she was going to be offered a job as a design and development driver! Last week I asked what was the common component in the 1923 Fadag, Lindcar and Swaze vehicles? It was the German ZF-Soden pre-selector gearbox. So to this week. Who drove 24 hours at Bonneville and on the last lap shaved his chin, so that he could get out looking presentable?